We are coming to the end of another wonder-full year filled with spreading magic and hope around the world and here at home. Fifteen years ago we were inspired to use “magic to entertain, educate and empower many of the most forgotten children in the world.” We have been able to do this all these years because of support from folks like you. Thank you so much for your generous and continued support. We absolutely could not do this wonderful work without you. Thank you!!! Collaborating with the Yale Department of Psychiatry to work with people who are recovered and recovering from drug addiction, mental illness, and homelessness. We will teach Magic to a group called Recovery Speaks, – people who do presentations in the community about recovery. 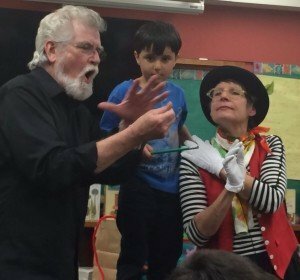 They saw us perform and said that they would like to incorporate some “Magic with a Message” into their presentations to make their work more entertaining, engaging, and effective. We began with a two-day Magic and Acting Workshop, August 12-13 in New Haven. We have continued with every other week, two-hour Magic sessions hosted by MWB’s Vice President Alex Posner and members of the Yale Magic Society. We have committed ourselves to working with Recovery Speaks for the next two years. Some of these Magic students are already thinking of continuing to develop their magic into a money making business. We will help them do this if this is what they want. We have begun a new Warrior Wizards Project in Kentucky, headed up by Wesley Verner (no relation). Wesley recently retired after 20 years in the Army, having among other things, served 4 deployments to Kosovo, Iraq, and Afghanistan. Wesley has also been a serious Magician for the past 20 years. He is uniquely qualified to head up the project and has begun recruiting participants as of August 2016. As this project continues to grow, check http://www.magicianswithoutborders.com/ for on-going developments of Wesley’s wonderful work. In November 2016, we hosted (2) week-long Magic, Theater, Art, Juggling, and Acrobatics camps, one for 80 girls and one for 80 boys, from a dozen different orphanages. We provided these children a rare opportunity to spend a week of laughing and learning in a beautiful and safe place. Medicine Magic. We have begun a new program to train interested people to learn Magic for the purpose of performing in Pediatric Departments of Hospitals. We began in Vermont in June 2016, and our first magicians began performing this Fall. What a joy to bring smiles to the faces of sick and suffering children or to be in the room of a child, weak and sad from chemo, and to see the happiness on the faces of her parents when she laughs and smiles for the first time in weeks. This is Medicine Magic. Six of our young Colombian Magicians (ages 14-17) from the devastatingly poor slums of Bogota were invited to do a key-note presentation and performance at the international PERFORM THE WORLD CONFERENCE, in New York City in September 2016. They did a number of other performances and were hosted by the NYC Magic community as visiting dignitaries, having an eye-opening, mind-expanding wonderful experience in New York. Immense praise and gratitude to the Director of our Colombia MWB Project, Carlos Lopez, for making this amazing week possible for these young magicians of ours. August 2015, two of our El Salvador Magicians, Maricela and Peter, contacted us and said “We would like to do for other children what you did for us. We would like to teach Magic to a group of children.” We connected them with the Glasswing Foundation that runs after-school programs in San Salvador. Maricela and Peter just finished their third 16-week long Magic program. 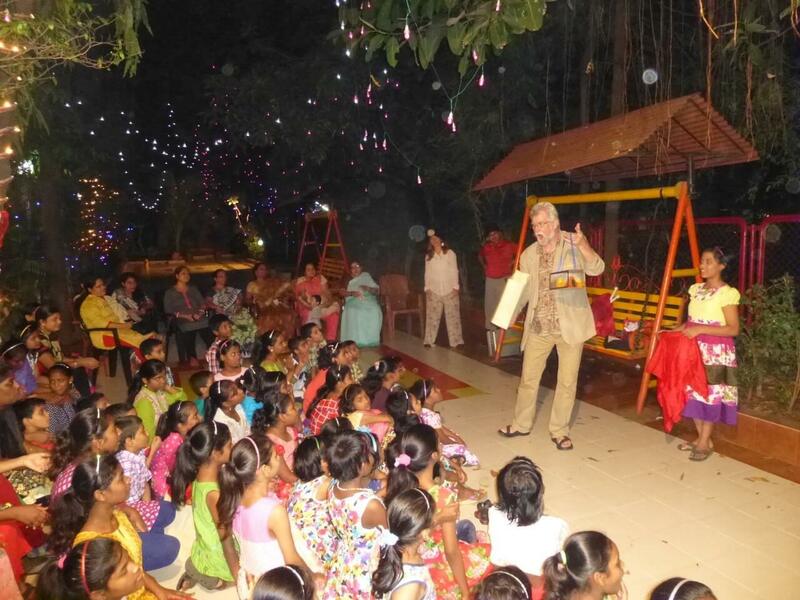 Glasswing is thrilled with the work they are doing with these very poor children. The Magic has truly now gone full circle. Peter and Maricela graduated from culinary school and are working as Chefs, thanks to the scholarship fund YOU have helped to create. Of the many trips this year, the one in May 2016 was in many ways the most memorable. Four of us spent a number of weeks in the Beed drought area of India. Almost daily farmers commit suicide in Beed, unable to farm and provide for their families due to this Climate Change disaster. We performed for farmers and their families and brought so many moments of laughter and delight in the midst of their terrible hardship. We are planning to return to Beed with members of the Yale Magic Society in January 2017. These are some of the projects that have made 2016 a wonder-full year, filled with many new and on-going possibilities. 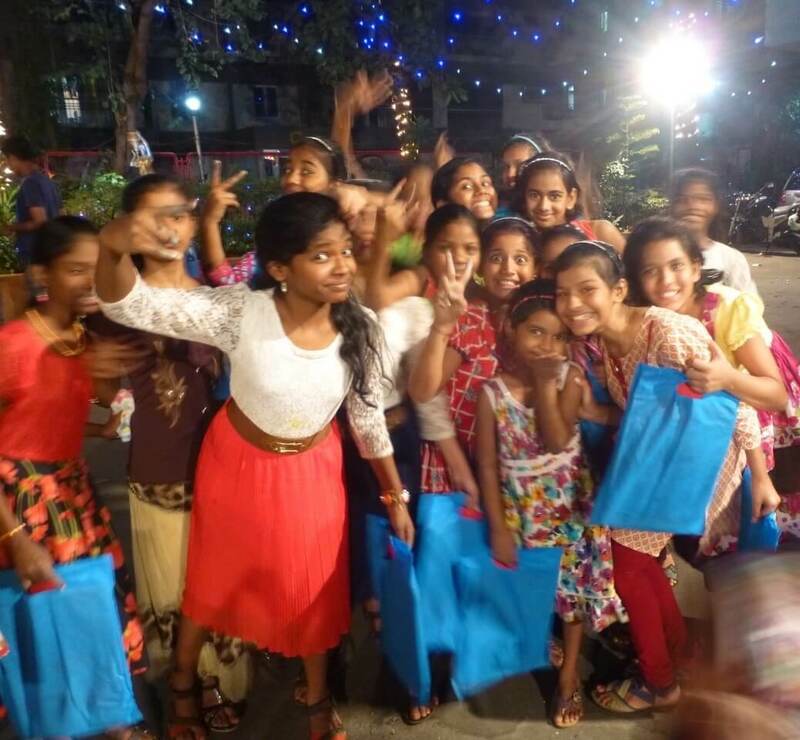 At this time when many cultures are celebrating light coming into the darkness, Channukha, Christmas, Diwali, Magicians Without Borders is doing what we can to bring a little light into some of the darkest and most difficult places in the world. This work is supported completely by individual donations from folks like you. We are grateful for the support you have given us and look forward to your continued support. Thank you so much. May your Holidays and New Year be filled with Love and Light! We would also like to announce an easy, new way that you can continue to support our work throughout the year. It is easy to enroll in this program. By going to http://smile.amazon.com/ch/75-3144325 you are directly connected to the donation site for Magicians Without Borders, this is indicated by a notice at the top of the site. You should have a prompt asking if you do indeed want to select MWB as your charitable organization. By replying “Yes”, 0.5% of the purchases you make will automatically be donated to Magicians Without Borders. This could be amazing for us. Please begin doing this and please spread the word to your friends and family to log-on and make their purchases work for Magicians Without Borders! Thank you for taking a moment to set this up. ← Magicians Without Borders Live from NYC! I would like to learn more about joining your organization and perhaps even combining it with Acupuncture Without Borders. I have been doing bodywork, Shiatsu, tuning forks, dance and movement/ non-invasive “acupuncture” art and teaching. I wonder if there is a way to be personally funded to organize a project, as it sounds like a fabulous cause and combination for healing. I am happy to meet in NYC to discuss the possibilities in person.